As a software developer, I learned Scrum in the workplace. The first time I went to the board and moved one of my cards to Done, I felt a little flutter in the reward center of my heart and I knew Scrum was for me. 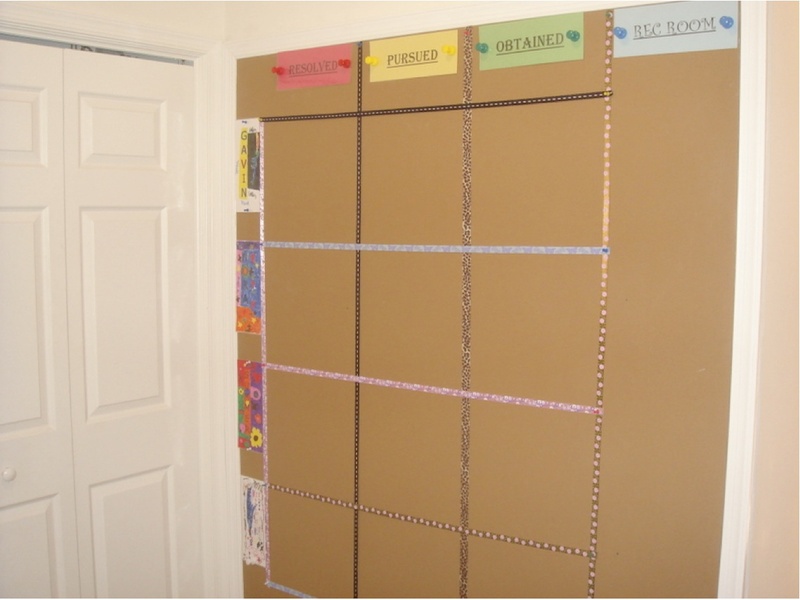 The board is the heart of Scrum For Kids. We gather round it every morning to recap the past and plan the future. It tells us at a glance if we’re on track this week, or falling behind in our work goals and responsiblities. The board is divided into three columns, with a row for each child. Generic column headers are: “Not Started”, “In Progress” and “Done”. At the start of the week, all cards start at the far left, in “Not Started”. As the week progresses, team members move their cards rightward to “Done” as tasks get completed. Row headers are nameplates for each child. Posts will follow describing how to customize the board for your family and making the kids true owners of its creation and upkeep. You are currently browsing the archives for the the board category. So, where are your cards?